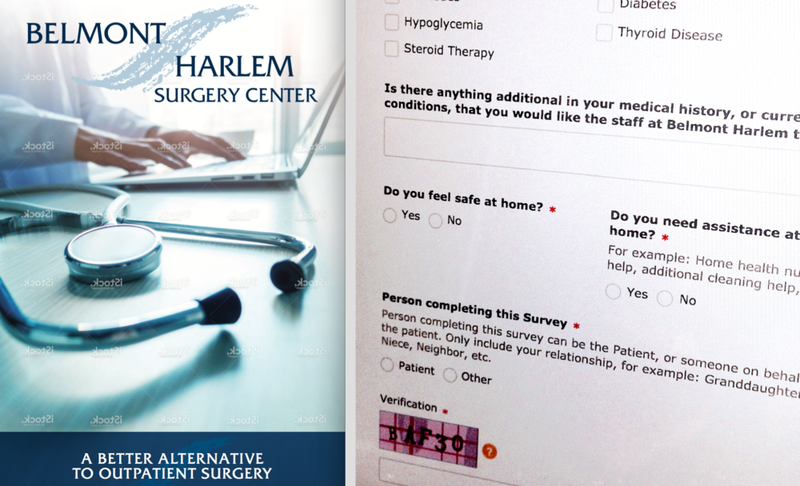 We met Belmont / Harlem Ambulatory Surgery Center who was looking to fix their Website Adobe Flashplayer issue. We fixed the website, and after some great conversations, we developed a Marketing Plan to address their business revenue objectives. Your business website works on any device, on any screen size. We fixed the website, repaired adobe flash player, ensured mobile responsive, fast page load time, website maintenance and additions, website is mobile ready and works across any mobile device, smart phone, tablet, iPad or touch screen. Our Favorite Advertising is developing content for Radio or TV. We help create your business advertising value proposition, the positioning and add creative direction - so your company tone and brand can take the forefront. We wrote the script, provided the creative direction, and promoted the piece in digital media. Enjoy Watching! We streamlined the business office procedures and process. Developed an online medical history patient survey, F.A.Q. and the patient appointment postcard. We develop Advertising to bring in more patients. Developed TV Advertisement and Social Media campaign strategy to build brand awareness drive in more patients. Watch It Live . . .
Social Media setup and management, advertising and promotion. Fully optimized social media accounts following industry best practices. We pick the best images of actual location on site and stock images to create your online social media accounts. Click the Button to LEARN MORE about our Social Media Marketing Work. We developed a recruiting campaign, maintaining a consistent brand, and usable multi media for recruiting efforts. every channel, every website, every time. Google Plus, Facebook, Linkedin, Google Business, Twitter. Optimized content and beautiful brand images based on each channels specifications. Provided support in branding and copywriting for internal communications, newsletters and financial reports. Your business is accountable to shareholders, the board of directors and down to the people you serve. When communicating in a newsletter, or a financial report, we remain consistent with your brand, and clearly lay out forms for readability ease. For every small business client, we conduct a brand assessment to ensure we deliver your business marketing strategy, and marketing plan, that will align with YOUR organization look and feel. Your business is in the front seat. Understanding your goals will help us select the best Marketing tactics for your business. LEARN MORE ... > in Our Process. SWOT Analysis, a traditional marketing strategy analysis to have a top level view of YOUR business and the competition. Our PEST Analysis is another top level assessment to see the outlying factors, beyond the competition, that can impact your business revenue. P | Political consideration in the market and legislation affecting your business. E | Economic factors impacting your business. S | Social factors from the community and marketplace. T | Technology advances impacting your business. You deserve a Businesses Marketing Assessment? Let's Get Started. Contact Joanne Klee Marketing Today!